This electric lift table has retractable wheels, strong and stable lift mechanism and a dependable motor. 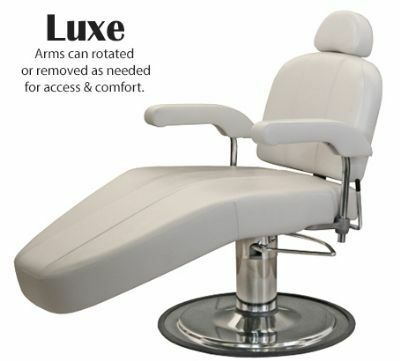 Includes adjustable face rest base and pillow. Height Range 19" - 38". Standard Width 28 or 30", Standard Length 73". Qualifies for a Section 44 ADA tax credit. Available in: Black, Buff, Burgundy, Agate Blue, Teal Green and Purple. Manual adjustment at both back and knee rests provide easy and accurate positioning for incredible client comfort.